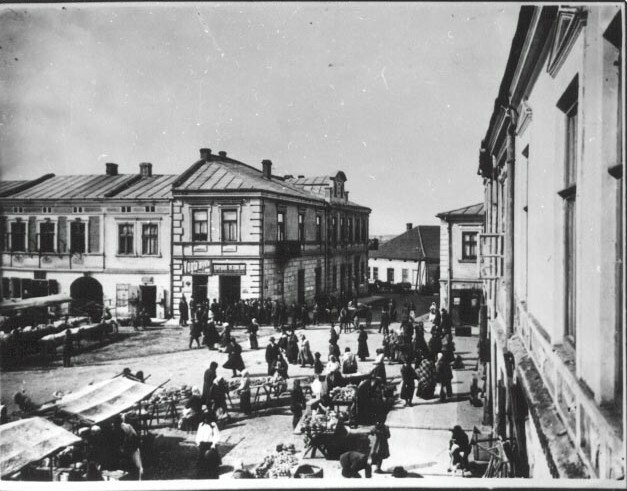 BLATTBERG Family Home on Mielec Rynek [Market Place]. The Blattberg home was the place of a Shtibel [Prayer House]. The following submitted by Mrs. Helen Honig Schreiber. Mrs.Helen Honig Schreiber and Psachia Honig lived in the house with the brick front. Mr. Verstandig was born in Mielec and survived the Holocaust by hiding in farms in the Mielec neighborhood. Mr. Verstandig is the author of " I Rest My Case "